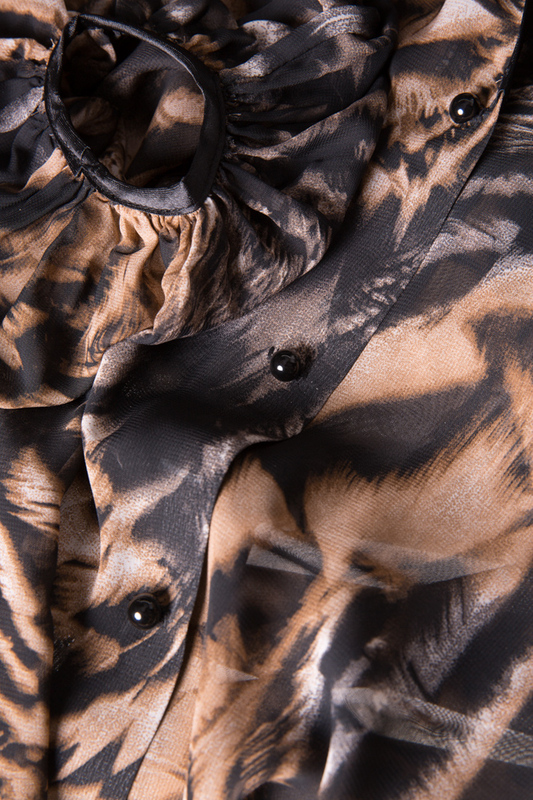 Zenon's oversized blouse is printed with a black and gray leopard print that fades to tonal-brown at the cuffs and hem. Made from silk-georgette, it's detailed with long sleeves and a deep V-neck. Wear it with a camisole to temper the semi-sheer finish. Material: 80% viscose, 20% silk.